In Illinois, workers are injured every day while on the job. Whether it’s a back injury while lifting a heavy object or a slip-and-fall during a break while the worker is on the employer’s premises, an injured worker may be able to claim employer liability for the sustained injury. When determining whether a worker can file a claim against the employer, the first issues is whether the employer is liable for the injury. 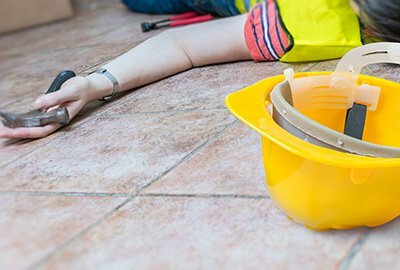 Often, workers and employers alike will assume that an employer is not liable for a workplace injury if the worker is at fault for their own injury. However, Illinois has what is called a “no fault” system for workers’ compensation. This means that regardless of who is at fault for the injury, a worker may be able to file a legitimate workers’ compensation claim for an injury. As long as the worker’s sustained injury arose “out of and occurred in the course of the employment” of the worker, then the worker may file a claim for workers’ compensation. If the worker is able to show that the injury was sustained in accordance to this legal standard, then the worker will be able to file the claim with the Illinois Workers’ Compensation Commission regardless of whether the worker or the employer is at fault for the actual injury. The trade-off for having such a permissive “no fault” system is that filing a workers’ compensation is the exclusive remedy available to the worker. This means that the worker MUST file a workers’ compensation claim through the Illinois Workers’ Compensation Commission if a claim is to be filed. The worker is barred from filing a claim through the regular court system for claims of negligence or other tort-based remedies. It should be noted that a 3rd party may be sued if there is a claim regarding that party’s liability. There are several factors that are taken into account when determining whether an injured worker will be able to make a claim against an employer for an injury, but the first issue that must be examined is whether claim is subject to the Illinois Workers’ Compensation Act. As discussed above, Illinois has very permissive rules regarding a worker’s right to file a claim with the Commission, but with that permissiveness comes greater restrictions on seeking restitution through more traditional venues. For further information regarding a specific claim and legal representation, reach out to the attorneys at Orenstein & Associates.